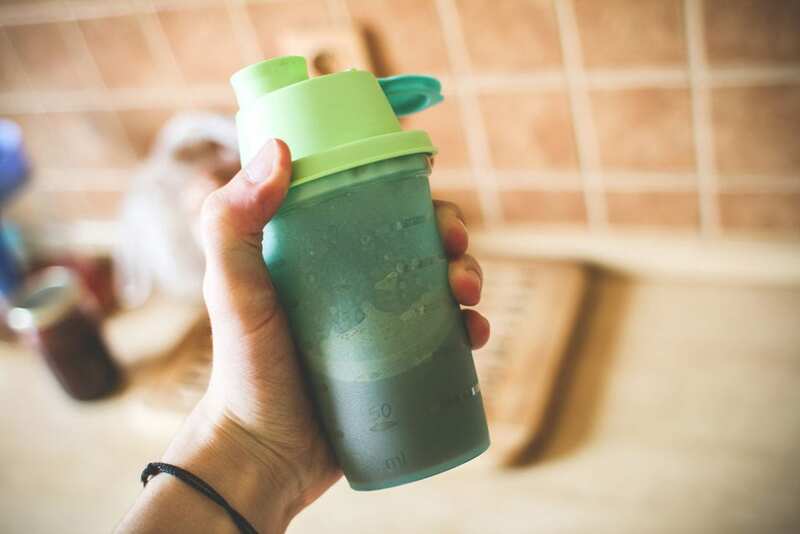 » Time to reconsider our opinion on meal replacement shakes? I’ve had a bit of a journey with meal replacement shakes in the past. When I started out I was offered the chance to sell them. They were marketed to me as a great way to get results for your clients. Not knowing any better I trialled it. I gave Herbalife a go and didn’t really like it. One of my clients used to buy the protein bars from me (they were amazing). I stopped selling them after 4 months and regretted getting involved. The more I learned about nutrition the more I realised that they were a poor choice. There were much better ways to get people to eat healthily. This was around 2012 and at this point, the fitness world divided into two camps. There were the Herbalife sellers and the Herbalife haters. Herbalife became a joke. Anyone who was related to them was deemed an idiot. Following the crowd, I became a huge Herbalife hater. Their products were rubbish. Most of the sellers were clueless, and any trainer who let their clients use it was a charlatan. But over the next 6 years, my opinion changed again. I read study after study that demonstrated that meal replacement shakes CAN lead to weight loss. More importantly, they can lead to long-term weight maintenance. Particularly in the obese. Even writing this now, I feel like some trainers will look down their noses at me. But I don’t believe that anyone who blindly hates Herbalife (or any other meal replacement shake) has actually looked at the evidence in journal articles. 2014 – Study finds that meal replacement shakes reduced insulin requirement in type II diabetes patients, lost weight, and reduced cardiometabolic risk factors . 2007 – Study finds that meal replacement shakes and a reduced fat diet led to a “pronounced improvement in metabolic risk factors” and reduced weight in both pre and postmenopausal women . Would I recommend a Meal Replacement Shake? This is a tough question. If you’d asked me 4 years ago I would have been vociferous in my condemnation of meal replacement shakes. Even now, I do not agree with the way that Herbalife conducts its business. This company hires random people with absolutely no nutritional expertise and gets them to run boot camps (which they are not qualified to teach). Sell their products, and give unqualified nutritional advice. This is disgraceful, and the multi-level marketing model that they use is constantly under investigation. It’s a glorified Ponzi scheme. But, Herbalife is not the only company out there, and even if it was – just because I don’t like their methods (nor do I really rate their products) I do recognise that there is a place for meal replacement shakes in fitness and nutrition. Meal replacement shakes work, but not because the shakes themselves are anything special. Most are just low-protein versions of protein shakes. They work because they are easy to take, taste nice can make following a calorie controlled diet much easier, and because people don’t want to have to think about what they are eating/drinking. Compare that to a traditional diet where you are tied to your myfitnesspal app, have to spend hours bulk cooking meals, weighing your rice, pasta, and meat. Finding complicated recipes that can make the horrific foods that you have bought somehow palatable. The “clean eating” path that many follow is much less sustainable than a meal replacement plan. So is flexible dieting. Personally, I think that flexible dieting is probably the best long-term diet approach, but I can’t see why controlling one meal per day (using a high protein meal replacement shake such as Huel) is such a bad idea. Breakfast is a meal that many people struggle with. It is often the meal that is least likely to contain protein. Studies have shown that adding whey protein to breakfast in older clients is an effective way to address the issue of protein intake peaking at dinner . Our world is in the middle of an obesity crisis. There is a higher percentage of children growing up overweight than there has ever been in history. Food is so readily available and cheap in the Western world that even the poorest among us can eat more calories than any 19th-century nobleman would. We’re also slowly getting to the point where there will be more people than food available to feed them all. Some people would say that we are already there. Large swathes of forest are cut down each day to make room for cattle. The global footprint of food being transported is causing havoc with the environment. It is no longer realistic to expect everyone on the planet to eat organic food and maintain a six-pack. Powdered food and tablets have always been seen as a solution in the future. I think that one of the biggest barriers now is a fear of the unknown. Personal trainers and the general public have decided that meal replacement shakes are a bad thing and that “real” food is the only solution. But this strategy is NOT working for most people. The longer we maintain this belief that only eating clean foods is acceptable the longer we will marginalise obese people who straight up don’t want to eat kale. Personally, I enjoy cooking my own meals and love eating healthy foods. But I work from home, I can afford to buy my meat in bulk from a good quality online butcher. I am also average shape with no real health issues. If I were an obese person with type II diabetes and little time to make healthy food after coming home from a 10-hour shift, and with a family to feed. I would probably consider a meal replacement shake, and I would probably see some great results from it. So while I won’t promote it to my clients, I don’t see any problem with people using them. Provided that they do it properly. Great article. Convenience is vitally important for us consumers and being able to get a protein shake/bar/meal at the club after I’ve worked out ticks boxes both for me and my Club.What’s the problem or the downside? Truth is if I don’t eat something good quickly after a hard exercise session I desperately want to eat something very BAD for me !!! Thanks, Duncan. Completely agree with you about post-workout hunger!